This is the last week to vote for the Believe In Tomorrow Foundation to win $100,000 and a multi-year charity relationship with NASCAR. The NASCAR Foundation’s Betty Jane France Humanitarian Award is a yearly competition between thousands of children’s charities and honors a dedicated NASCAR fan who has positively impacted the lives of children through volunteerism. The four national finalists for The NASCAR Foundation’s Betty Jane France Humanitarian Award includes Carl Dakes, a volunteer for the Believe In Tomorrow Children’s Foundation. Dakes, of Crofton, Maryland, is a paint contractor by profession and president of The Dakes Company Inc. He has volunteered thousands of hours over the past 18 years, painting all nine Believe in Tomorrow facilities, including the pediatric hospital in Baltimore and several respite houses spanning from North Carolina to Fenwick Island, Delaware. The award winner will be determined via an online fan vote that kicked off Wednesday, Oct. 24, and runs until Monday, Nov. 19, at 5 p.m.
“Believe in Tomorrow saves those families so much time and money. They offer them phenomenal weeks and that includes all the restaurants and supporters and games because this whole thing is not just one group of people,” Dakes said. Dakes, who is nicknamed “Carl the Painter,” was incredibly humbled by the nomination. Should Believe in Tomorrow win, the money will be used to expand the Ocean City facilities, which has a site waiting for development on 65th Street and is expected to break ground in late 2018/early 2019. 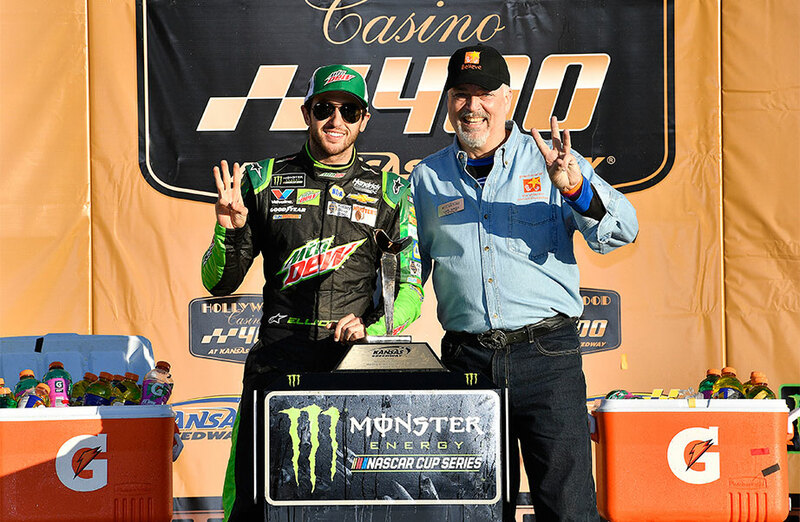 The winner will be announced Thursday, Nov. 29, during the Monster Energy NASCAR Cup Series Awards at Wynn Las Vegas. The NASCAR Foundation will donate $25,000 to each charity represented by the award finalists, and the charity with the most votes will receive a $100,000 donation and a multi-year charity relationship with NASCAR. “The really important thing is that people need to vote every day,” Morrison said. Visit https://believeintomorrow.org /nascar/ or visit https://www.nascarfoundation.org/award to vote directly or watch Dakes’ video. Learn more about Believe In Tomorrow at http://believeintomorrow.org or call Littleton at 443-978-0680.